Finding desserts that are OK to eat on the autoimmune protocol can be challenging. Just before I started AIP, I was experimenting with chocolate puddings. First, using chia seeds, then, using gelatin and coconut milk. Chocolate is excluded on the AIP, so I immediately started working on a vanilla cinnamon version and it turned out amazing! Sooo rich and creamy, and feels so decadent, but it is made with just 5 healthy ingredients. Part of my leaky gut healing protocol involves consuming gelatin every day. Gelatin is well-known as being recommended to soothe and heal the digestive tract, and is especially indicated while working to heal leaky gut. Homemade bone broth is the #1 recommended source of gelatin, but I have to admit that I do have trouble drinking broth every day. I know that a lot of people love to put plain broth in a mug and drink it like tea, but I just don't enjoy that. I wish I did. I've been trying to make simple soups with things like sliced onion, ginger, and cilantro, but have found myself getting bored with that. So, I've tried to include gelatin in other ways, too. I have both the red (bovine) and green (collagen hydrolysate) canisters of Great Lakes grass-fed gelatin. The green can will dissolve in any liquid and is tasteless, so sometimes I just add it to water or my Repairvite drink. I've been using the red can in as many recipes as I can as an egg replacement. I've got two great recipes for plantain pancakes (one using plantains, and one using plantain flour) that use gelatin, I've used it as a binder in meatballs (recipe soon), and, of course, I've used it in dessert recipes like this one or my homemade raw citrus Jell-O. Since I'm all gung ho about gelatin these days, I'm also currently reading The Gelatin Secret by Sylvie McCracken of The Hollywood Homestead. I was so excited when Sylvie sent me a review copy - the timing couldn't have been more perfect! This is a very comprehensive e-book (over 150 pages), which begins by explaining the history of use of gelatin in the human diet and how we have stopped consuming as much as we used to traditionally. Sylvie then goes on to explain the various ways that gelatin consumption (or lack of it) can affect our bodies, including our bones, joints, the brain, hair, skin, and nails, and even dental health. And, of course, a large chunk is devoted to digestion (including hunger and blood sugar regulation) and leaky gut. If you want a TON more healthy dessert recipes using gelatin (the last 70+ pages are all recipes), The Gelatin Secret is the book for you. Just look at the cover! Those are not dyed with artificial food coloring like the boxed stuff -- that rainbow comes from fruit only! I can't say enough good things about this book or the recipes in it. I've got my eye on the strawberry lemonade gummies and the avocado cucumber smoothie - can't wait to make them! But don't worry -- there are also plenty of savory recipes, too, including in-depth tutorials for bone broths. Anyway, enough about the book, let's get to my recipe. There's something so satisfying about pudding thickened with gelatin. It just feels so comforting! Takes me back to childhood with those pudding cups (I don't even want to read those ingredients now), but made with only a few simple, clean ingredients. Unfortunately, you probably don't want to pick up just any old can of coconut milk from the store. If you look closely at the ingredients, you will find some questionable additives, preservatives, emulsifiers, thickeners, and sometimes even added water to dilute the product (some brands proudly proclaim that it's "reduced fat"). If you already have gut issues, these additives may cause you to experience digestive distress. Also, some companies use a lining that contains hormone disrupting BPA, which is more likely to leach out into a fatty food like coconut milk. 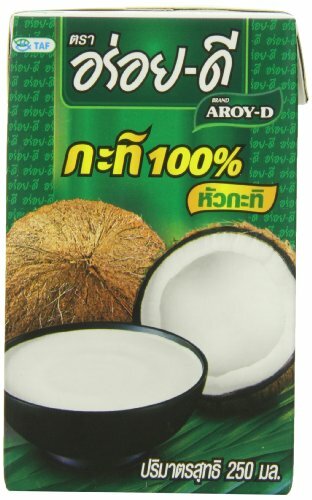 I also really like the brand Aroy-D that comes in Tetra-Pak boxes. There is only one ingredient: coconut. You can easily adjust the recipe here to use 2 of the small boxes of Aroy-D (500 ml) -- just use a scant tsp for pudding-like consistency. Or if you want to make a LOT, you can use one of the large boxes (1000 ml) and use about 2 tsp or 1 Tbsp gelatin. The only gelatin that I use is the Great Lakes brand. On their website, they tell you how the cows that are used to make the gelatin are raised, and they are pastured, grass-fed animals. They also make a porcine version, but the pigs are not pastured, so I haven't purchased that one before. As I mentioned above, I use both the red and green canisters of their bovine-derived gelatin. 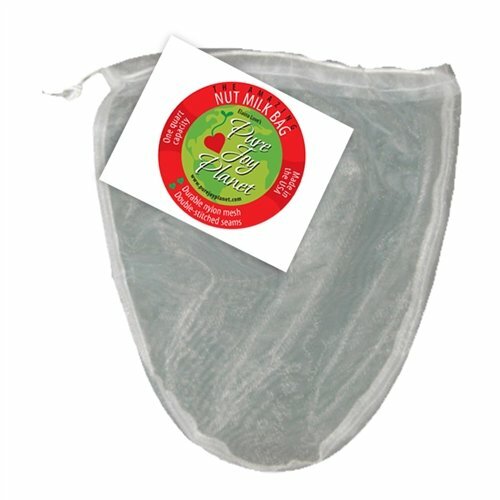 The green can has been hydrolyzed with heat or enzymes to form collagen hydrolysate and it does not set or gel the way that regular gelatin does. It is meant to be added as a supplement to beverages and smoothies, and it is tasteless. The red can is regular gelatin and you use it just like other gelatin you are used to using. You need to use the red can for this recipe. I've come to love using panela as my go-to sweetener. Check out the cool video below to see how it is made. It's pretty amazing to see! 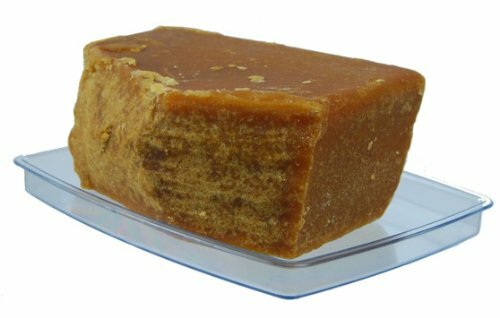 Panela is totally unrefined and has a very rich, deep, flavor with hints of caramel. It comes in blocks or cones, and to use it you have to grate it or shave it with a knife, and then either weigh the shavings or pack them into measuring spoons for your recipe. Click here to read a fantastic description of what it is and what to do with it. Surprisingly, aguapanela (panela water, usually with lime juice) is a traditional remedy for respiratory infections in many parts of Central and South America. I know everyone is all abuzz about coconut sugar these days, but I'm still not sure what to think about it, as there is very little information available about it, and that which is available has been put out by those that have an interest to sell it (and thy sure do make it sound like a miracle sweetener!) I do own a bag, but I am waiting for there to be more independent information available about it before recommending it as better than panela or sucanat (which is also unrefined). I much prefer the taste of panela over coconut sugar, anyway! A simple, 5 ingredient, dairy-free, autoimmune paleo pudding thickened with gut-healing gelatin! If using panela, first use a knife to shave off pieces of sugar. Pack the shavings into your measuring spoon. Add everything except the gelatin to a small saucepan. Briefly whisk mixture to dissolve cinnamon. You first need to "bloom" or wet the gelatin, then dissolve it by heating. Do this by sprinkling the gelatin on top of the coconut milk mixture in a single layer. Then, use a whisk to stir the gelatin into the mixture and begin heating the pan over medium-low heat. You only want it to be warm enough for the gelatin to melt and the sugar to dissolve. Gelatin melts at about 95F (35C) , so if you like you can use a candy thermometer to check the temp of your mixture. Note about gelatin amounts: using 3/4 Tbsp in 400 ml coconut milk will give you a traditional pudding-like consistency. If you use 1 Tbsp, the final product will set more firmly and will resemble a creamy Jell-O more than pudding. Both ways are delicious. If using Aroy-D boxes, use 2 boxes (adds upt o 500 ml) and use 1 scant Tbsp gelatin for pudding consistency. Whisk mixture frequently while heating to encourage the sugar to dissolve. Once sugar has completely dissolved, remove from heat and pour into desired serving containers. You can pour it all into one large container or divide it into individual servings using ramekins or small canning jars. Let them cool on the counter a bit before putting into the fridge. Store in refrigerator until pudding has set (usually takes a few hours). Tastes wonderful alone or topped with slices of fruit like strawberries. Get blog updates, recipes, & news delivered to your inbox! Older PostGrain-Free Grab-n-Go: Review + Giveaway!